.... or even when the sun has set! The BBQ season is fast approaching and for most people this will involve a trip to buy a new gas bottle of BBQ coals. But this new invention could do away with that need, just by using the sun. The GoSun grill promises to cook a variety of foods without any fuel, except for that from that handy fusion reactor in the sky. It can grill, bake, boil and roast most meats and vegetables for up to eight people using a solar-powered thermal battery. It is this battery that allows the grill to work even if the weather turns cloudy or it's nightfall. It is composed of a special phase-change organic wax that melts in the sun over two hours, charging itself enough to start cooking food. This wax retains its heat for another four hours and as the wax solidifies again, the heat is passed from it to the food, cooking it. 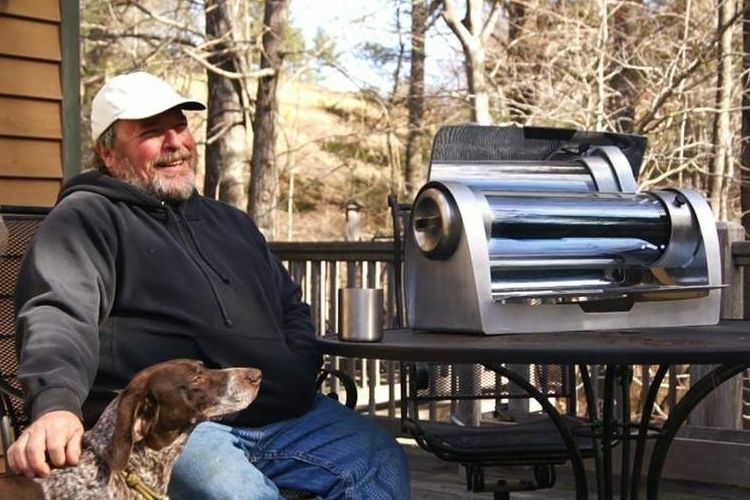 The food itself is loaded up in a tube that is surrounded by a solar reflector and cooks the food all over so there is no requirement to flip your burgers. Technically-speaking, the food is steam cooked rather than grilled, but temperatures inside the grill can reach nearly 300 degrees Celsius. The firm is also looking to develop the cooking technology for developing countries to cut down on using dirty fuels that pollute the planet. The GoSun grill is currently available via a crowdfunding site, so people will have to pledge around $349 to $599 to get your hands on a unit. As the funding goal has already been exceeded, customers should get delivery of a unit in July.